But I digress. I've recently updated the decks-to-beat with most of the decks from the Frippan Open top8, as well as the top4 decks from the more recent Sehlskapsspelen (the name of the tournament is a pun on Sehl's name in Swedish. The title of this post could also be interpreted as a Swedish pun btw. If you don't speak Swedish, don't worry; it's really not that funny). Munchhausen took down Sehlskapsspelen with his new take on Lestree Zoo. He actually went 7-0 in matches in the tournament, against a very strong field. Turns out Lestree Zoo is a real deck if you can tweak it and know how to play it. Some of my other favorite decks from the elimination rounds of the tournaments are Elof's Troll Disko deck (which placed second in both tournaments) and Kalle's The Burn Deck, which is what The Deck would look like if it was a burn deck rather than a control deck. 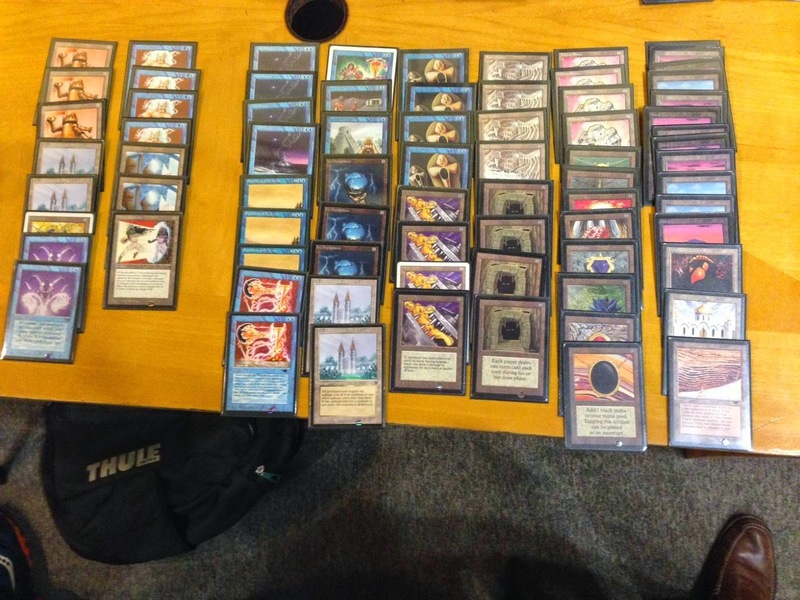 Mikael Lindén's UW control is also worth a second look, very impressive pile. I'm slowly building a 93-94 mono black, but it's just for the sentimental value because no one in Portugal plays it (although everyone loves sweet Beta cards!). Mg, keep up the good work in spreading the message. Big thanks to all oldschool Nordic players for keeping it alive and blooming. I went 2:3:0 at Eudemonia with Vortex Stax. I lost due to lacking a good sideboard, experience with the deck, as well as due to bad matchups. This deck works best in a meta of Weissman control. Hope somebody else will try it out! Go get some Copy Artifacts! I think Black Vise is safe to unrestrict. Against many decks its a dead draw later than turn 2, I tested it in UR Control and I wouldn't even play four.